Seventeen people, including 10 women, were killed in the fire that ripped through the "cold firecrackers" unit last evening. 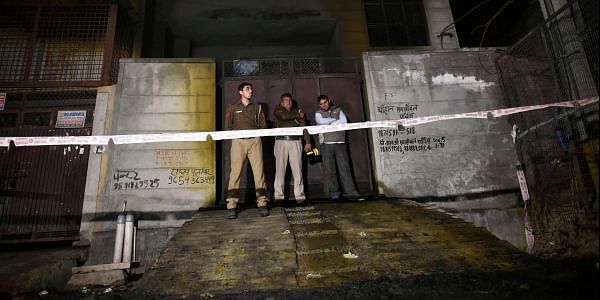 NEW DELHI: Following a blaze that gutted a firecracker storage unit in Bawana yesterday and caimed 17 lives, the Delhi Fire Services has decided to undertake a fire safety audit of the factories in the area, a senior department official said today. Seventeen people, including 10 women, were killed in the fire that ripped through the "cold firecrackers" unit last evening. Three bodies, including that of a woman, are yet to be identified. G C Mishra, Director, Delhi Fire Services, said electric cables run haywire in the area where the blaze occurred. "An inquiry is being conducted and it will follow the due process of law. I will not offer any technical comment on the cause of fire. The electric cables were running haywire. The investigating agencies and forensic teams might look into it," he said. The department will also be checking other factories in the industrial area for fire safety measures. "After every fire incident, such measures follow," he added. Mishra said his officials had not been able to confirm, after looking into the records, if an NoC had been issued to the premises. The officer also rubbished allegations by some lcoals that the unit's doors were locked and the people got trapped. "The officer who entered the building first told me that the doors were shut and not locked. One of the shutters was open by half a metre. No exit was locked and we did not have to break down the doors to enter the building," Mishra said.